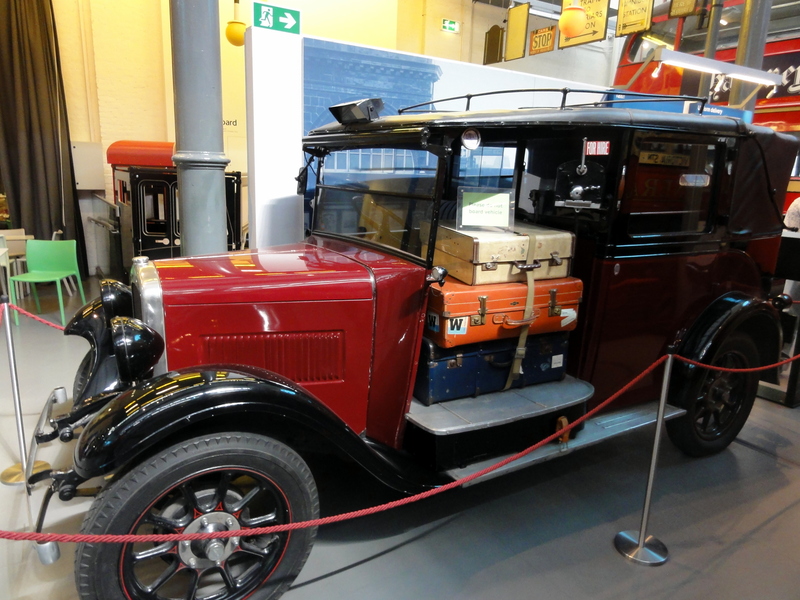 If you are a lover of cars, carriages, trains, buses and automobiles in any form, London’s transport museum is the place to visit. Located in the busy Covent Garden Piazza, this place is ‘the repository‘ on the history and evolution of the much acclaimed transport system of London. Spread over three levels, the museum has about 370000 items on display which include engineering drawings, photographs, posters, signs, uniforms and other trivia. The innovations in the water, rail and road transport over the last 200 years have been captured meticulously with great attention to detail. 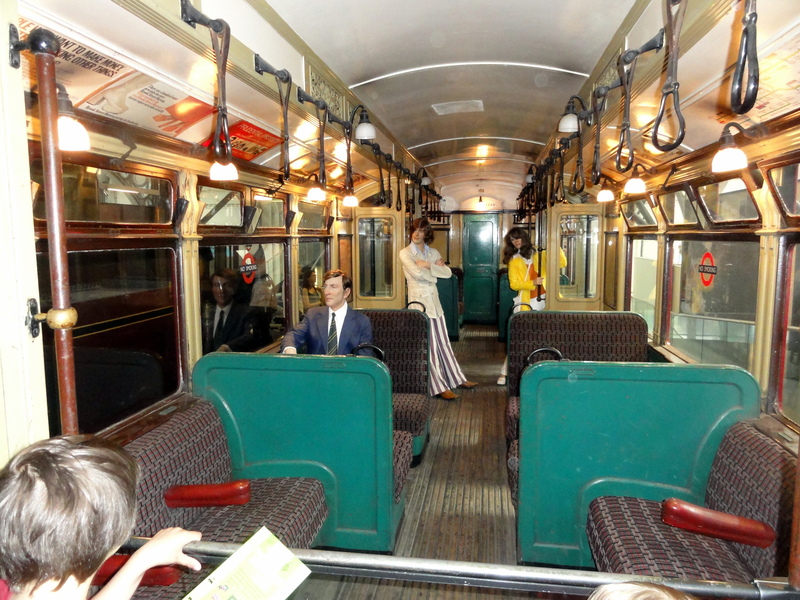 The models are spectacular, be it the horse drawn carriages and trams of the yesteryears or the trains and buses. 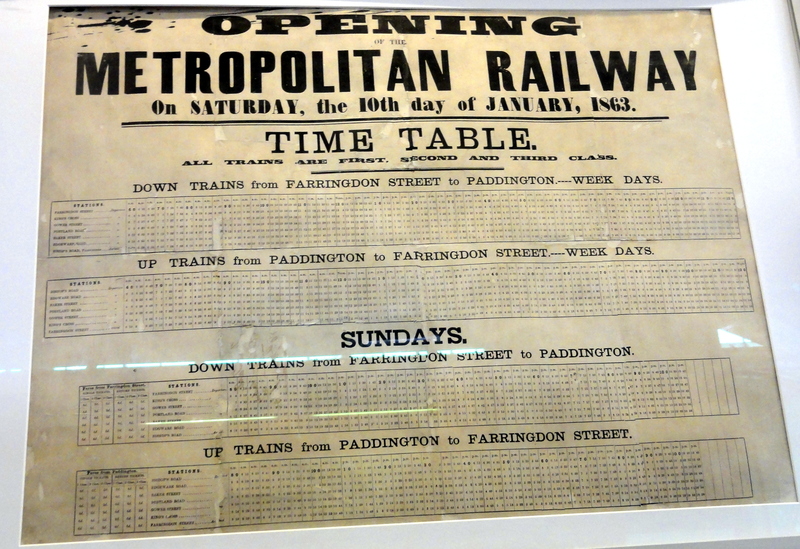 The development of the world’s first underground railway, the Metropolitan Railway is truly informative. The journey of London’s underground and its growth along with the growth of the city from being a compact one to one of the world’s busiest is traced beautifully. 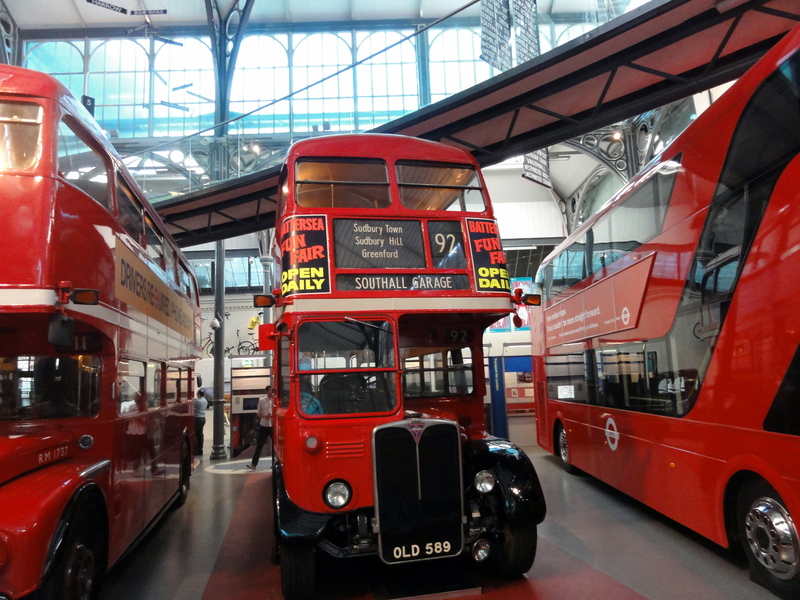 Likewise, the evolution of the ‘Red buses’ synonymous with the image of London from the yester years is amazing. 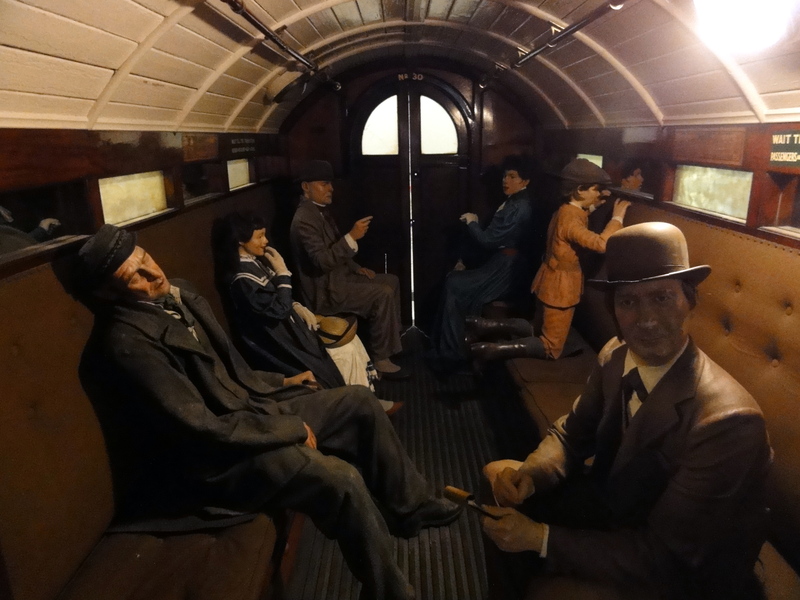 Most of the models are life size and we had a great time getting onto the trains and buses of the Victorian times as we did looking at the models of what the future cars and motor bikes could look like. 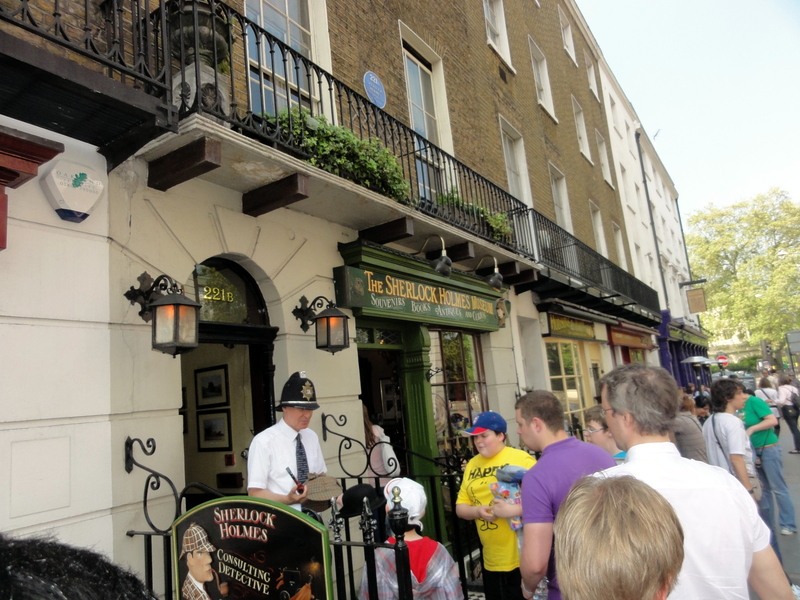 Dedicated to the most famous fictional detective in history, this museum is captures the life and times Sherlock Holmes. 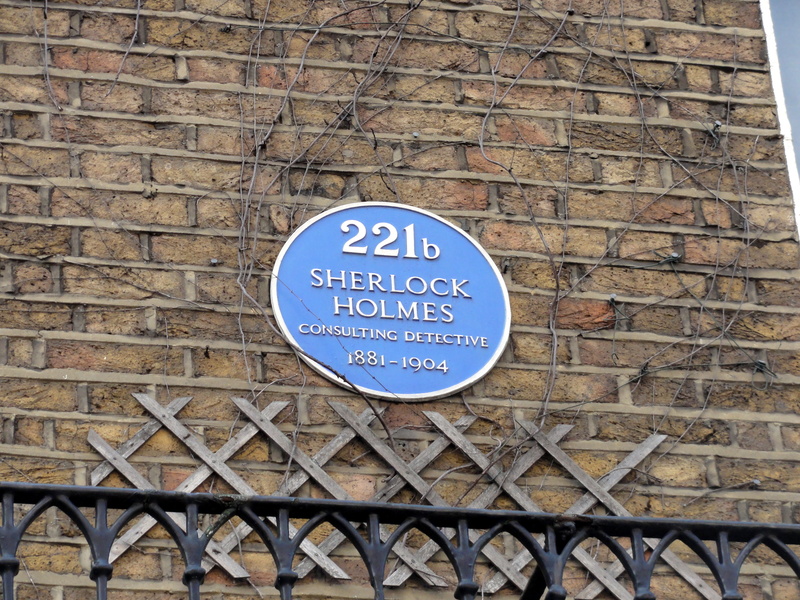 According to author Sir Arthur Conan Doyle Sherlock Holmes and his assistant Doctor John H. Watson lived at 221b Baker Street between 1881-1904 as tenants of Mrs Hudson. 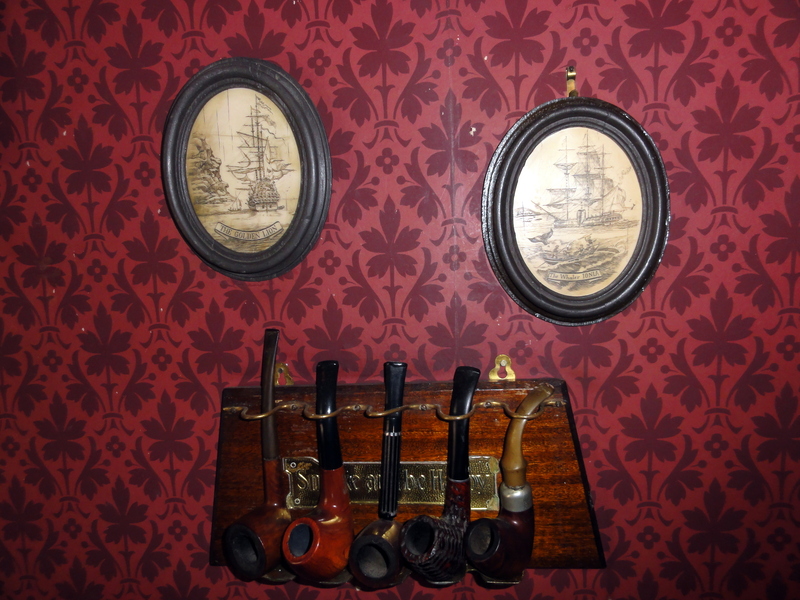 Hence the museum housed in an old Georgian town house has the address as “221B Baker Street”. The 1st floor study of the house overlooking Baker Street is maintained for posterity as it existed in the Victorian Times. Every nook and corner of the house has something you can relate with the stories be it the somking pipes, hats or the cozy fireplace. 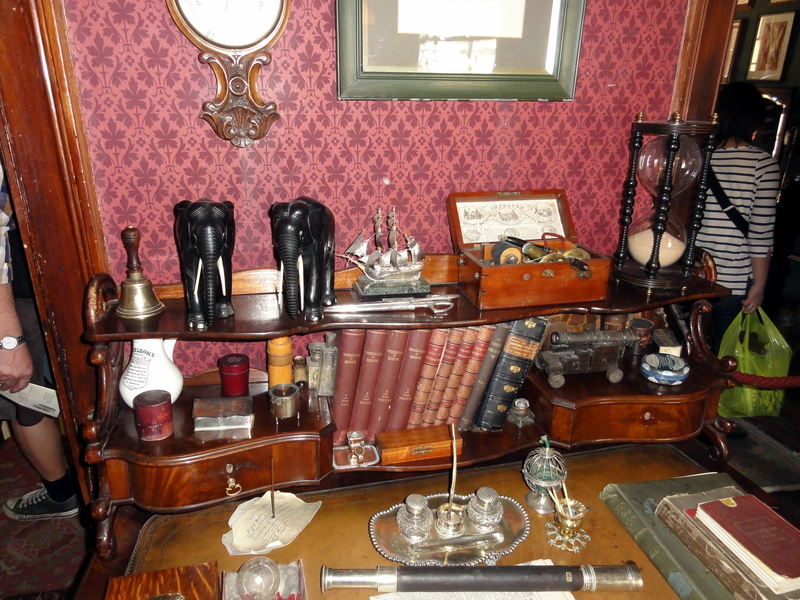 The study in the first floor is an exact replica of how we have seen it in the movies with the detectives’ possessions like his arm chair, pipe, magnifying glass, notebook among others on display. 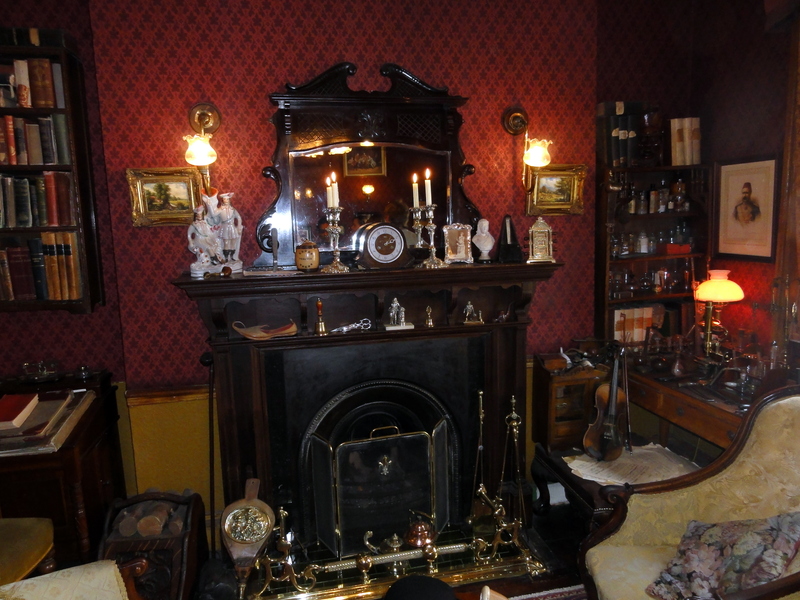 There is a Dr Watson’s room and the third floor has wax figures depicting stories from the books of Sir Arthur Conan Doyle. The staff is extremely affable and you can even pose at the entrance as Sherlock Holmes wearing his cap and sticking his cigar in your mouth! If you are a die hard fan of the detectives’ stories as I am, you should make a visit because it is here that you can step back in time and explore his world. 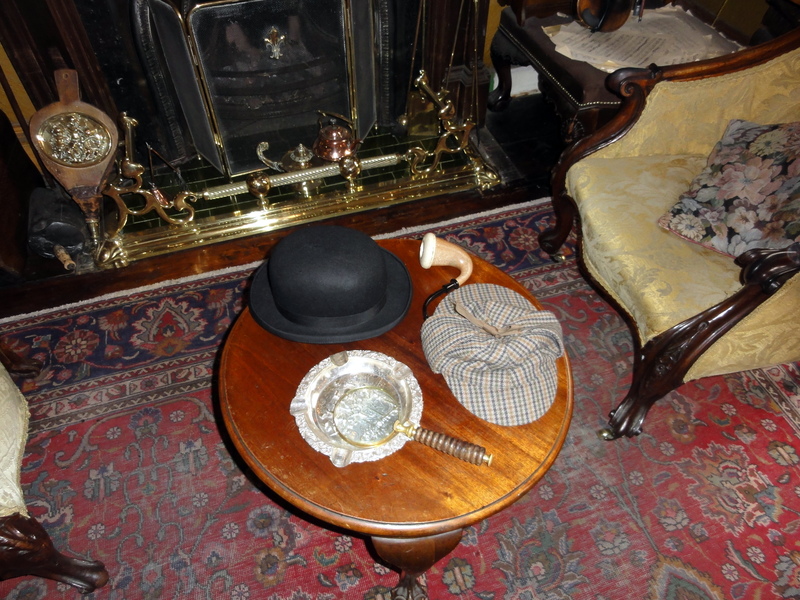 Since all the memoribilia is related to the detective’s character, his persona and his stories, the museum may not hold much promise if you are not a true “Sherlockian”. Very informative two of my favourite topics! London is so wonderful. I have found similar museums and monuments in Amsterdam as well. Wish we too had done something like this with our huge and ancient heritage and tradition. True London is incredible, there are many such wonderful museums every where in the UK and even in small suburbs like Ipswich. There is a real small car museum in Ooty which is quite good and heard of one in Dharmastala (Karnataka), though I have not visited it. Really interesting post, I like anything mechanical so will have to take a look in the Transport Museum in Covent Garden sometime soon. It’s great that we can all learn so much from each other’s travel blogs! Thanks a ton Marion; am glad you liked it. 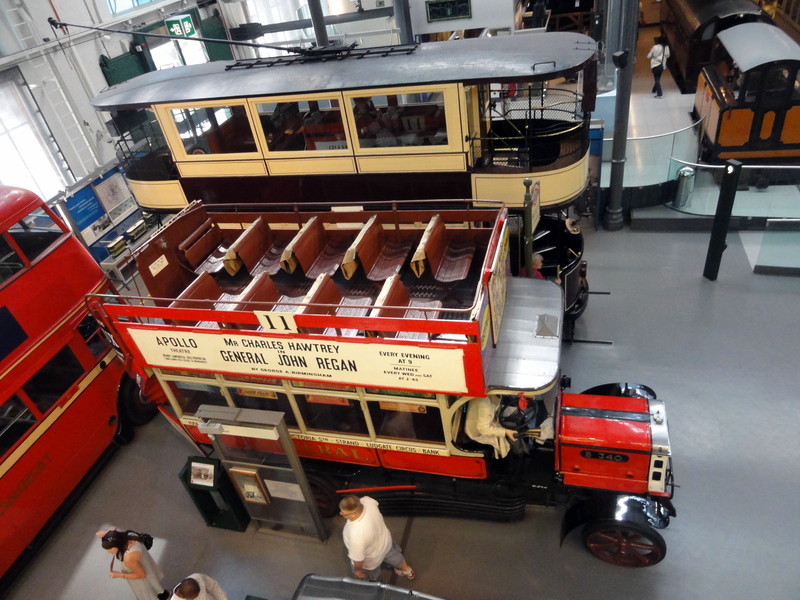 In fact there are so many Transport museums in UK…I love all of them. I found one in the little town of Ispwich too!